Jupiter is master and influential planet in all planets. In horoscope, if Jupiter is high prices, then person does good progress. Jupiter is factor of marriage and luck. There are some remedies which reduce the weakness of Jupiter and strengthen it. 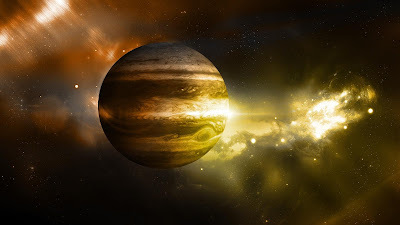 - Keep vow on Thursday to reduce Jupiter’s defect. Wear yellow clothes and eat food without salt. Include yellow food items such as gram flour, mango etc. - Keep image or photo of Jupiter on yellow clothes. Then, worship with Pachopchar. Offer saffron sandalwood, yellow rice and yellow dish or fruit in worship. Pray lord Jupiter sincere. - Chant Jupiter psalm “Om Brum Bruhaspataye Namah” for 108 times. - Donate yellow stuff. You can donate gold, turmeric, horse gram, mango, banana etc. - Offer gram flour laddoo to lord Shiva. - Above remedies are very beneficial to get rid of money, property, marriage and luck related barriers.